Sherwood Food Distributors is happy to announce that they we now distribute Sigma’s Fud and La Chona brands our customers in Michigan. Sigma Alimentos is a the leader in the production and distribution of refrigerated and frozen foods in Mexico. In 2002 the company started exporting to the USA and based its headquarters in Houston, TX. FUD (which stands for Fine, Unique and Delicious) is the most recognizable Hispanic brand name within the refrigerated foods category among 1st Generation Hispanics. 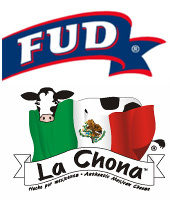 FUD is the #1 top-selling pre-packaged meat brand in Mexico with over 50 years of history and has become a tradition in households for its quality and flavor.